Following several reports in the press about the dangers of substandard gas hoses, Die-Pat strongly urges our customers and colleagues in the industry against using non-accredited catering hoses. While we understand that cost efficiency is a top priority for our customers, the importance of using high quality, fully accredited gas hoses cannot be stressed enough. This is an area where substandard hoses and failure to maintain and replace them when necessary can lead to serious injury and even fatalities. In addition, substandard hoses are not subject to the cycle testing which is required within the BS669 pt 2 standard and ISO10380. This is a crucial part of the BSi testing and at Die-Pat, we ensure all of our hoses meet this cycle testing requirement. 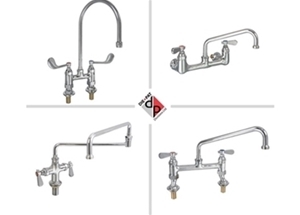 Never choose a supplier who cannot provide a certificate with their hoses or those who claim their hoses “Generally conform to” or are “Manufactured in accordance with”. All suppliers of approved hoses will be able to supply a certificate. 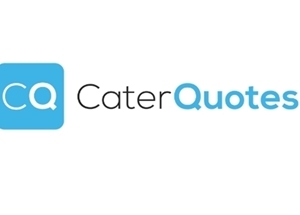 Our Caterquip brand of hoses offers fully welded, corrugated, stainless steel catering gas hose assemblies manufactured to the highest specification in order to meet the legal requirements of gas supply in catering appliances, using first, second and third family gases. 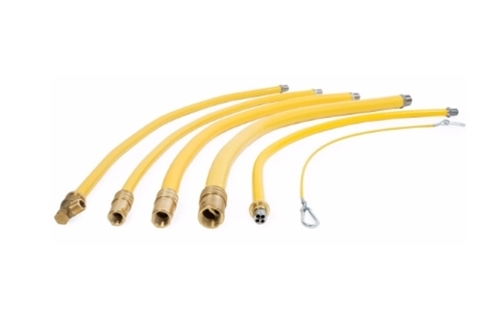 Caterquip hoses come with a quick-release valved coupler that cuts off the gas supply when disconnected. This special coupler must be installed in accordance with BS6173-1990 standard for mobile catering units, with the restraining device supplied. The restraining device meets the required minimum tensile load specification as per BS 669 Part 2:1997. We print our hoses with our brand “Caterquip” – non-branded hoses are merely poor copies! Our heavy-duty braided hoses are also fully approved and within our certificate of supply. 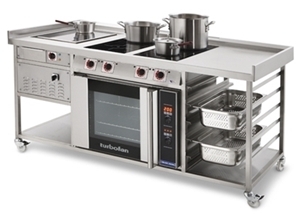 Alternatively, our sales team is always happy to answer any questions on 01327 311144.